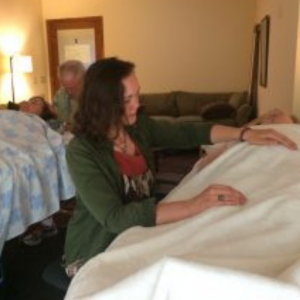 The Singing Bowl Meditation, also known as a Sound Bath, will be using Tibetan and crystal bowls as well as chimes and drum to create a relaxing experience and to provide an optimal environment for meditation. 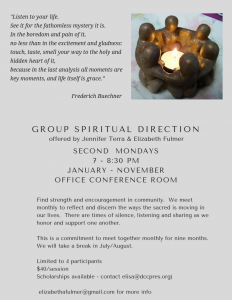 The hour begins with a brief guided meditation leading into the sound experience. An opportunity for tea and conversation completes the event. 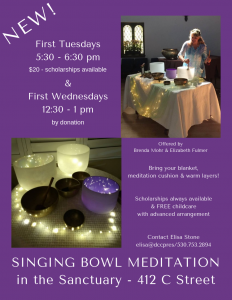 The Singing Bowl Meditation is offered on the first Tuesday of each month at 5:30 PM in the church sanctuary at 4th & C Street, downtown Davis. Drop by on your lunch hour! 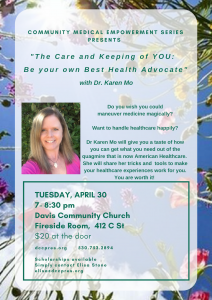 This half-hour session can fit into the busiest of schedules. 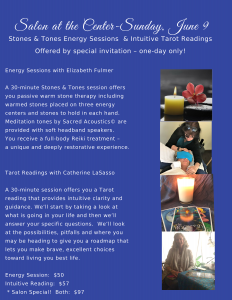 Brenda Mohr, who is trained in sound healing, and Elizabeth Fulmer, an experienced retreat facilitator, will lead the meditation experience. 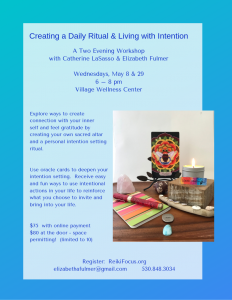 No previous experience is required and all are welcome to explore this method of meditation. Bring your yoga mat/blanket if you wish to lie on the floor.